Synergies prevailed as a 'Worry Wall' was climbed and persists. 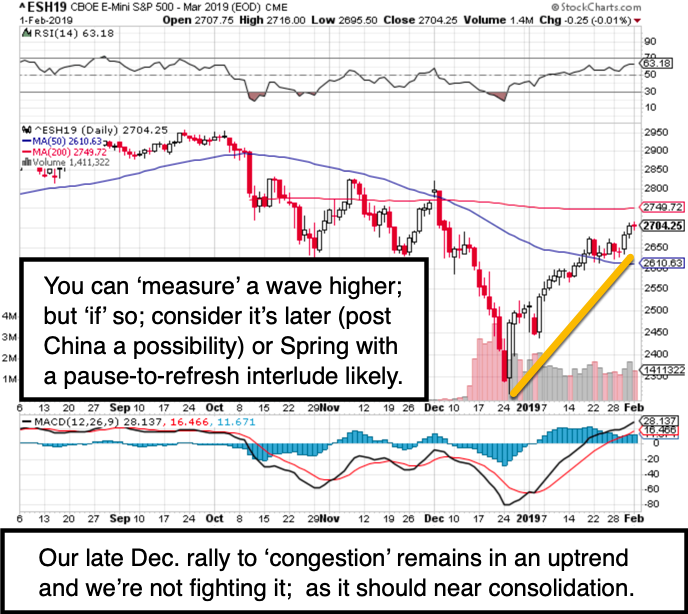 Factors outlined have combined to allow the S&P to ignore Amazon's missteps that we discussed (in China and India); helped quite a bit by Semiconductor and Oil rebounds. The Fed is sidelined as a concern for now; and while many of course worry about Treasury demand later (mentioned this week); overall it is not anything to be concerned about, despite 'tight job market' concerns.